We look forward to helping you achieve a fabulous smile! 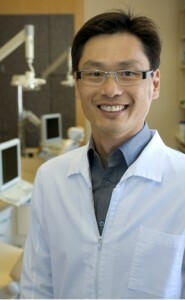 We welcome you to stop by or make an appointment with our dental specialists at our Surrey or Vancouver office. Our two offices in the Mount Pleasant and Newton area in Vancouver and Surrey are conveniently located with easy parking and accessibility for our patients. Our multi-lingual staff is here to support the diverse communities we are part of – we offer services in English, Mandarin, Cantonese, Punjabi, Hindi, Vietnamese and Chaozhou. At PacificWest Dental, we provide comprehensive care to our patients. This means that we provide care for wide range of dental needs, from braces to gum surgery, using the latest technology to ensure your treatment is effective. This also means when deciding your treatment plan, we will look at your oral needs from more than just one perspective. We want to make sure your smile is healthy both inside and out. Our team of orthodontists, periodontists, prosthodontists, and oral surgeons will make sure you leave our office confident with the treatment just right for you.